Lake Frances is a 150-acre retreat location found nestled on the top of the Cumberland plateau, just outside of Crossville, Tennessee. It’s easy to get to, yet you experience the seclusion of being in nature and hanging out on the lake. 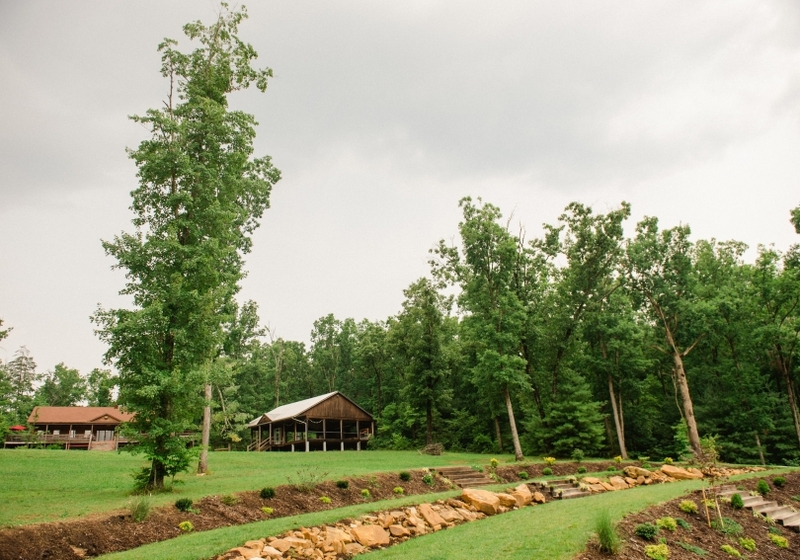 Comfortable cabins, top-notch facilities and an amazing setting make Lake Frances the perfect getaway for your church or school group, as well as the ideal fit for your special event or a unique wedding neither you nor your guests will ever forget. Lake Frances is the retreat location you probably haven’t heard of, but the last one you will ever want to visit. Retreat to the wild. If you’re looking for a retreat location for your church or school group, Lake Frances is the perfect place for groups of any size with unique needs and goals. Lake Frances provides a serene getaway that allows your group to leave the city behind, bond, and grow as a group, while also providing outstanding activities for the excitement and energy that create memories you will never forget. One thing that separates Lake Frances from your typical retreat location is our 26,000 square feet of indoor gym space. This space is perfect for creating a controlled environment for indoor activities on our basketball court, laser tag, foam pits and trampolines as well as group meetings, presentations, concerts, and/or quiet time and worship. This unique environment is not only a place that can be used as a productive meeting place, it also guarantees, no matter what the weather, your group can still experience the fun of a retreat and always have a warm, dry place to congregate. Outdoor activities include 5 miles of hiking trails around Lake Frances, a high and low ropes course, lake activities including canoeing, swimming, tubing (weather permitting), fishing, as well as sand volleyball, corn hole, bonfires, field games of your choice and use of our canteen for games and hanging out. Let us know your schedule and what you would like to do, and we will make it happen. With room to house up to 350 people, Lake Frances has the flexibility to host groups of many sizes and has the option of allowing your group exclusive use of the facility should you want a private retreat. Our staff at Lake Frances will tailor your retreat to your group’s specific needs. Meals and activity times are flexible, and use of the gym is available whenever you need it. Lake Frances is the perfect place for your wedding or special event. For weddings, it is like no other space you’ll find: a picturesque location for your ceremony and a blank pallet for you to create whatever you want for one of the biggest days of your life. Your group can have the entire grounds for a full weekend. There are no time limits or vendor restrictions, and you can even arrange for accommodations for your wedding party and guests right on site, if you choose, for the entire weekend. For special events such as corporate retreats, Lake Frances is again here to cater to whatever your unique needs or requests may be. With the whole place to yourselves, we will work with you to schedule camp activities, including lake time, ropes course, hiking, as well as meals and meeting times. Let us know your needs, and we will find a way to meet them at the highest level. We have abundant meeting space for you to hold productive meetings and a lakeside setting for your company to relax, team build, and even party if that’s what the weekend requires. Lake Frances can house up to 350 people in a variety of different rooms. Rooms range from a typical camp style bunkhouse that can old up to 18 people per side and 36 people per building, to smaller rooming configurations that range from 2-8 people, or even a hotel style room with one queen bed. All rooms and cabins have central heat and air conditioning, and have their own bathroom facilities as well as wifi/ Direct tv. Lake Frances also has a dining hall with a full kitchen, which allows for a comfortable dining environment and flexibility in meals. Our canteen is another option for providing snacks to your group or just a place to hang out, play some pool, ping pong, karaoke or watch a movie. Our 26,000 square feet of gymnasium space will guarantee a climate controlled space for a group of any size to meet and play regardless of the weather outside. This unique space is equipped with in-ground trampolines, massive loose foam pits, a basketball court, and plenty of open space for games, sermons or any kind of gathering you group requires. The gym is also equipped with a sound system to play music or to use with microphones for your presenters or speakers. The gym is what makes Lake Frances truly different than any other retreat location you can find. Outside, our main gathering place is the hill in front of the dining hall that leads down to the lake. Plenty of open space for field games, sand volleyball, corn hole or just opening up a lawn chair and enjoying the peace and tranquility. We also have an open-air gazebo, over looking the hill that we call the “Tin Can.” This is a semi-enclosed building that is great for group meetings, dances, wedding receptions or anything where you may need some cover but want to enjoy being at the lake. Of course we have plenty of recreation to keep you busy during your stay as well. Down the hill and on the banks of Lake Frances is our outstanding high ropes course. There are numerous activities to do on the lake as well, including tubing, swimming, canoeing, paddle boarding, fishing or just relaxing on the beach. If you’re a runner or are just looking for a quiet walk in nature, the property surrounding the lake is filled with over five miles of beautiful hiking trails. Whatever the needs of your group, Lake Frances has the quality, size and flexibility to meet your needs.